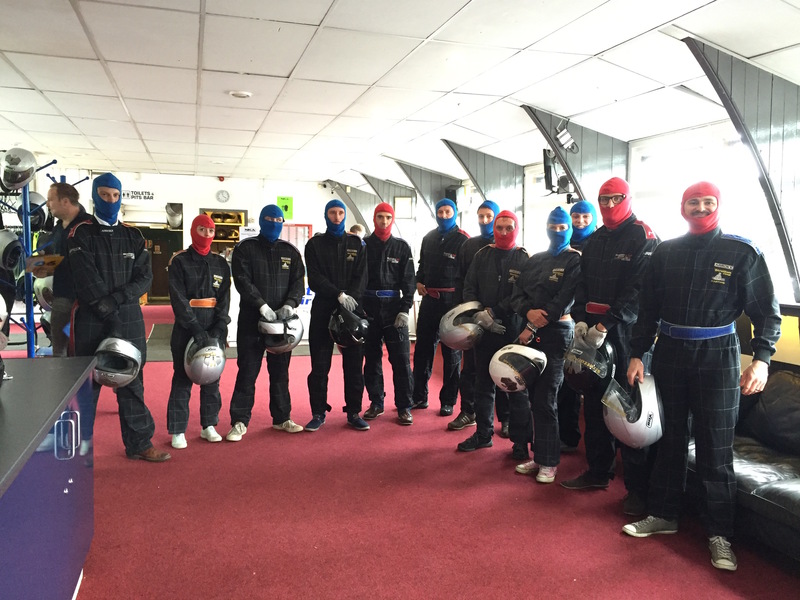 It’s not every day you race your colleagues around a track in a go-kart, and it’s not every day you get soaked to the bone whilst fully clothed, but it truly was a once-in-a-lifetime experience for the staff at brp architects to do both at the same time! Following our competitive spat in 2013, we thought it was time to revisit the go-karting track and put to rest the excuses made by everyone that didn’t come first in 2013. Under normal circumstance there would be furious competition between individual drivers to get the title of ‘fastest lap’, a proud accolade indeed, but due to extraordinarily heavy rainfall on the day we raced, the lap timing device was not functioning, meaning there could only be one champion race winning team. The warm up session saw most of us get slightly damp and most of us ending up spinning out (no matter what you’re told; slick tyres do NOT work in the rain!). Shortly afterwards the downpour experienced during the main race was truly biblical, and deep puddles formed, adding a whacky edge to the race, which had then become a cross between go-karting and ‘total wipe-out’. Far from the rain to stifle our competitive appetites, we each battled for the top-spot, resulting in karts spinning at regular intervals, and the odd bump and shove as we pushed the karts to – lets face it – beyond the limits they should be reaching in the wet and for the race leaders, a full 50 laps! Dan Bent & Martin Scott. Race footage below, to the appropriate song: “Driving in the rain”!